Elsa Guerra at Cooking Matters. Elsa Guerra has experienced several serious health scares. But it never stopped her from taking care of others. 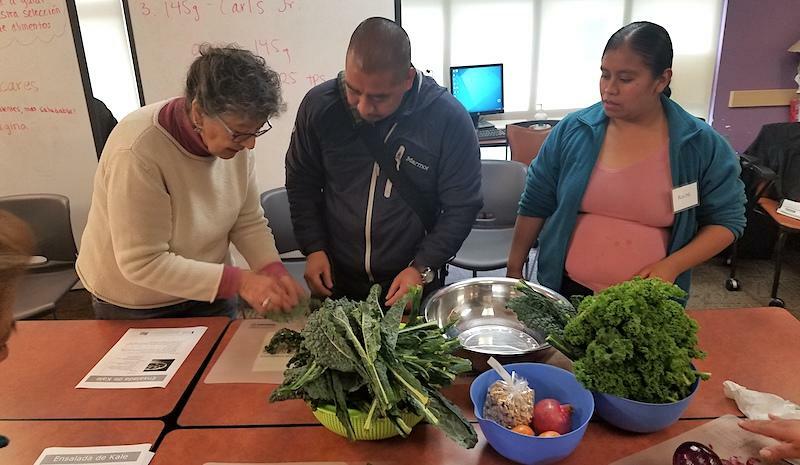 Today, she’s a great grandmother, and teaches Bay Area residents about nutrition for the non-profit 18 Reasons, working to empower low-income earners through cooking cheap, nutritious, and delicious food. Elsa Guerra never really learned to cook in the first few decades of her life. As a child, she grew up with maids and traveled back and forth between her native Mexico and Guatemala. Mainly because of her father. When Elsa was 20 years old, she came to the U.S. from Guatemala with her former husband. She moved to San Francisco in the middle of the 1960s. That’s where she developed a sense of belonging, gained a degree from UC Berkeley, and raised a family. It was also around that time cooking became a huge part of her life, as she began to experiment with making healthy, homemade meals for her children. On February 17, 2005, everything turned upside down. Elsa was diagnosed with breast cancer, a disease that affects one out of eight women in the U.S. Elsa fought the cancer. She received treatment, consumed lots of salmon and broccoli, and made sure to exercise regularly. She recovered, got healthy, and moved on. But then, seven years later, she had another physical trauma. This time, it was a heart attack. Her dad had his first when he was 47. He died of one when he was 53. Elsa Guerra to the left and Esteban Romero in the middle. And that is exactly what she loves to do. Today, Elsa teaches Bay Area residents about nutrition for the non-profit 18 Reasons. 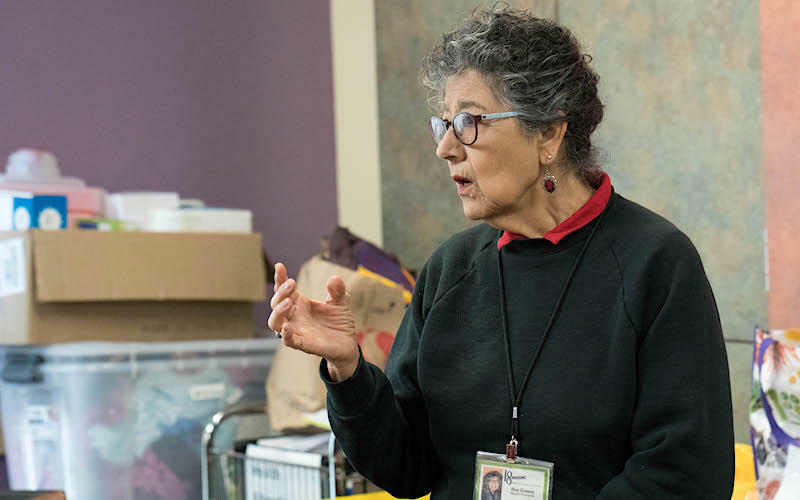 She serves as a health promoter for the free program called Cooking Matters, which works to empower low-income earners through cooking affordable, healthy food. Elsa never received a formal education in nutrition. She says having children, grandchildren, and great-grandchildren is her main background when it comes to cooking. But the program trained her, expanding her understanding of the science of food, and now she’s taught more than 250 people. One of her students is Claina Lopez. She’s a single mom, who says she’s mainly attending the program because of her daughter and son. She wants to learn more about nutrition in order to be there for them as long as possible. Elsa Guerra is instructing the students. She doesn’t need to look any further than Elsa Guerra. The great grandmother is healthy, happy, and still experimenting with homemade meals for the growing number of people in her life. I’ve been entering and winning sushi competitions in prison for 25 years. So when Keith Kitagawa showed up and beat me on his first try, I knew I had to find out his secrets.